Pioneers in the industry, we offer mig welding consumables and plasma torch consumables from India. 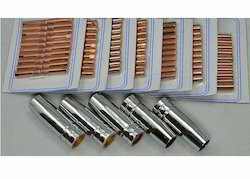 We deal in MIG Welding Consumables, which are of high-grade quality and last longer, resulting in a reduction in production loss and improvement of performance of the machine. 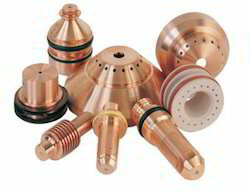 Our prestigious clients can avail from us, an excellent quality array of Plasma Torch Consumables.